Christopher Wray, a former high-ranking official in former President George W. Bush’s Justice Department, was confirmed by the Senate Tuesday and will step into a new role as director of the FBI. 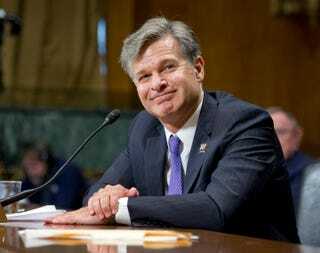 Wray will replace James Comey, who was fired by Donald Trump in May in the middle of the investigation into Russia’s involvement in the 2016 U.S. presidential election. Time reports that the vote was 92-5 in favor of Wray, who formerly oversaw investigations into corporate fraud under President Bush. According to Time, the Senate Judiciary Committee unanimously supported Wray last month. The 50-year-old’s résumé includes working on white-collar crime and regulatory cases as a partner with King & Spaulding; several high-ranking positions with the Justice Department May 2001-May 2005; and a stint as the principal associate deputy attorney general. His appointment comes at a time when the Trump administration appears to be in daily turmoil; the latest bombshell being the unexpected firing of White House communications director Anthony Scaramucci.